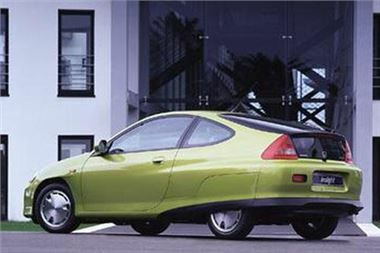 Honda has sold more than 800,000 hybrid vehicles since the first generation Honda Insight hit the road in November 1999. Honda was the first manufacturer in the world to launch a hybrid model and the Insight delivered 83 miles per gallon* giving it the highest fuel economy among all petrol powered vehicles at the time. Honda now sells seven hybrid models in 50 countries and they all come equipped with Honda’s original lightweight and compact IMA (Integrated Motor Assist) hybrid system. In the UK, Honda has sold more than 22,000 hybrids since the original Insight was launched in 2000 and the current hybrid line up now consists of the CR-Z, Jazz Hybrid and current Insight hatchback. Honda’s annual worldwide hybrid sales for 2011 was approximately 200,000 units (up 30 per cent compared to 2010), and Honda’s total hybrid sales during the last three years exceeded 500,000. In Japan, the ratio of hybrid vehicles exceeded 45 per cent of all new Honda vehicle registrations for the month of December 2011.